The 4200 Professional Series of quality putty knives, wall scrapers, and taping knives. Black nylon solvent-resistant handle is designed for maximum safety and dependability. 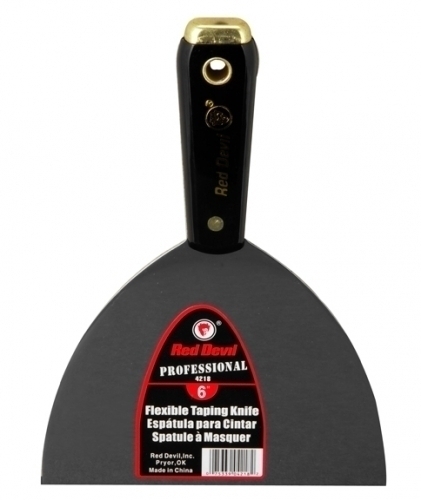 High-carbon, precision-ground steel blade is lacquered to prevent rust and extends through handle. The brass-plated, solid steel nail setting head can be used for setting drywall nails and other hammering jobs.